By the author of "Walking on Eggshells," a compellingly readable journey into the realm of family secrets, offering lessons and insights for those who are hiding the truth and those who discover what has long been hidden. Secrets, large and small, are a fact of human life. This book explores the impact of keeping secrets and the power of truth. Secrets can damage our sense of self and our relationships. Even so, Jane Isay has found, people survive learning the most disturbing facts that have been hidden from them. And secret keepers are relieved when they finally reveal themselves--even the things they are ashamed of--to the people they care about. Much depends, Isay writes, on the way of telling and the way of hearing. Jane Isay was both a secret finder and a secret keeper. After fifteen years of marriage her husband admitted he was gay, but together they decided to keep it a secret for the sake of their two sons. Building on her personal experience, sixty intimate interviews, and extensive research into the psychology of secrets, Isay shows how the pain of secrets can be lightened by full disclosure, genuine apology, and time. Sometimes the truth sunders relationships, but often it saves them. Powered by detailed stories and Isay's compassionate analysis, "Secrets and Lies" reveals how universal secrets are in families. The big ones--affairs, homosexuality, parentage, suicide, abuse, hidden siblings--can be ruinous at first, but the effects need not last forever, and Isay shows us what makes the difference. With specific guidelines for those who keep secrets and those who find them out, Isay's book reveals the art of surviving a secret. JANE ISAY is the author of "Walking on Eggshells," about parents and their adult children, and "Mom Still Likes You Best," about adult siblings. Formerly a book editor and publisher, she lives in New York City. "Whether we are Finders or Keepers of secrets (or both), Jane Isay vividly shows how secrets and lies render the very fabric of our lives shot through with a corrupting thread of untruth. To move ahead, she argues, we must unravel these tangled threads and rework the tapestry of our inner worlds and intimate relationships that dishonesty and dissembling has distorted. Using her own riveting personal story of her husband's coming out as gay and their mutual decision not to tell the children as a jumping-off point, Isay also engagingly captures secrets and lies in the lives of others through in-depth interviews. 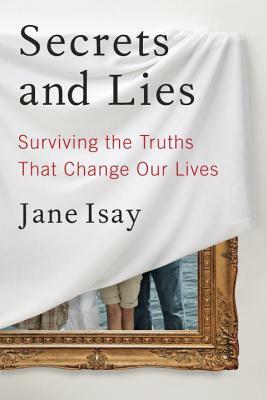 Finding and keeping our own truths, Isay argues, leads to the honesty and authenticity that makes us whole and connects us to others."